We all know just how important it is to invest in the right shoes, especially with high impact activities like running! For those who have feet conditions like plantar fasciitis, then the more important it is to know which is right for you. However, not a lot of people are really familiar with the condition and choosing the suitable shoes for runs. That’s why it’s crucial for you to get the best running shoes for plantar fasciitis. But what are the top choices of all the many brands and models? Read on as I show you the best running shoes for both men and women! Plantar fasciitis is one of the most common conditions which cause heel pain, involving your plantar fascia. This is the flat band of the ligament which connects to the heel bone down to your toes. It supports your foot arch, and when strained, the plantar fascia would get inflamed, swollen, or weak, causing pain as you walk or run. Even I used to wonder: What was so important about taking time to find the right running shoes? Spending quite an amount had me think about why it was needed. But once I found a suitable pair for my feet, I realized that there was so much to offer, which made running shoes an excellent investment. Quality running shoes are made to last and keep you free from pain. They are also lightweight, which has you use less effort and energy as you run, helping you break records and run faster or longer. That way, you get to improve your running and not have to worry about your shoes wearing out too quickly. The right type of shoes will be able to provide the better protection for your feet. This helps ensure that your feet are supported and free from pain, which is best from those with plantar fasciitis! Some even come with removable sock liners to accommodate your orthotics. Overpronation means that your feet roll too far, which causes pain. Shoes provide ample support which prevents that risk, which really helps with plantar fasciitis. This is all thanks to the tougher material found inside the midsole, which adds extra support to keep your feet in place. Good running shoes are made of the quality materials and cushioning, which keep you comfortable as you run. Besides that, they have the breathable upper mesh material, so your feet are well-ventilated. This prevents your feet from getting too hot and exhausted from the stuffiness. 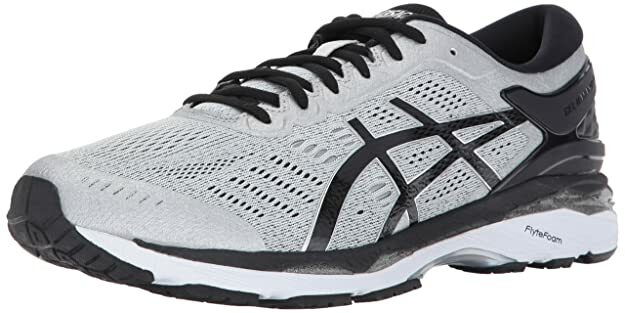 What I love about the ASICS Gel-Nimbus Running Shoe is that it comes with all the advanced technology without the expensive price. It offers adequate cushioning, which is what I love most! 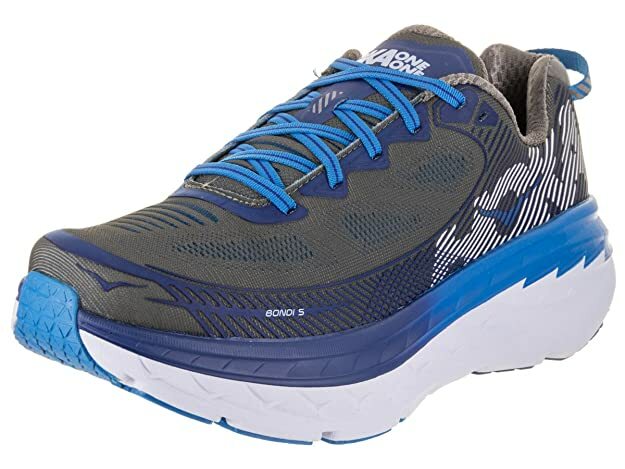 I’ve never felt this comfortable with a pair of running shoes before, which customizes to your fit and keeps feet cool throughout the entire run. With its cushioning system and its heel clutching system, it’s really supportive and has given me the extra comfort I needed for the long run. These are what feels the most comfortable, making them my top choice! 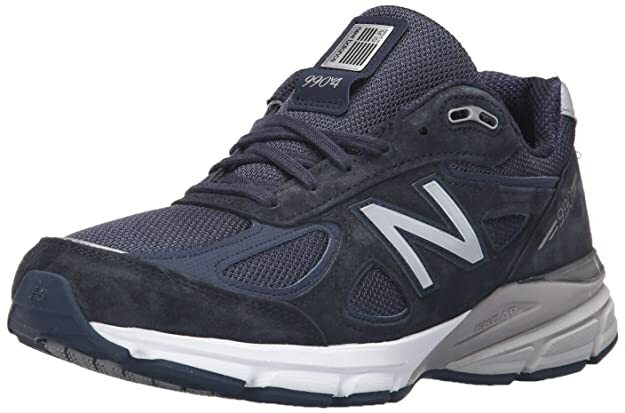 If you’re looking for something that looks strong and manly, then you’ll like the New Balance 990v4! It’s both the design and extreme quality material which can last for over 500 miles! It even has the supportive overlays and the breathable mesh upper, which has kept my feet comfortable and without much sweat even during the summer. I highly appreciate how durable it is, withstanding even some of my most intense runs. It doesn’t only hold up well, but it keeps my feet away from pain. All in all, a worthy price if you’re focusing on breathable and durable. 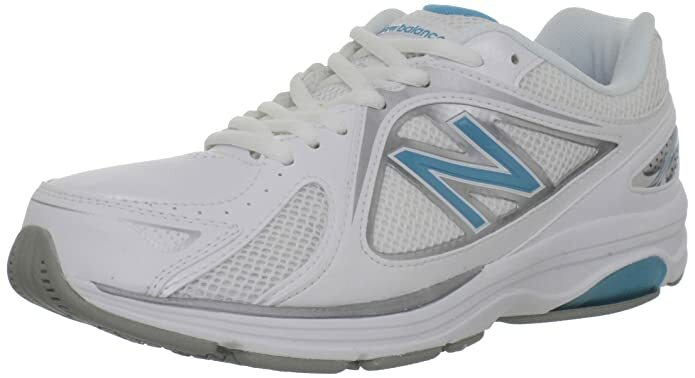 If you like something fresh and cooling, you should consider the New Balance 1080v8. It has a seamless design and strong construction, but what I love most is its fresh foam that has cushioning that feels almost luxurious! I also really like its breathable material, keeping my feet fresh and free from heat pangs. I never felt any discomfort as I run with these, with my feet feeling more cushion than the ground. The runs feel smoother and I’m able to increase my distance little by little without worrying about it wearing out or causing any pain. 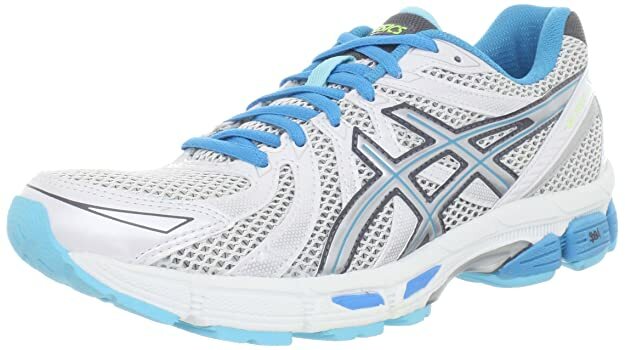 If you’re on a budget but don’t want to scrimp on quality, then the ASICS GEL-Exalt is best for you. Even if it doesn’t come at the most expensive price, it still offers the simple and necessary features one needs in a running shoe. It’s supportive enough for those with plantar fasciitis and made with supportive overlays, as well as adequate cushioning and a plush tongue and collar. It’s helped with overpronation, being the right balance of flexible and stable. Though there are no frills to it, the shoe does a grab job at such an affordable price. I highly appreciate the Mizuno Wave Rider because it runs true to size while fitting snugly to your individual foot shape. Its made of the unique technologies from Mizuno, giving it the 3D fit and better underfoot comfort, which has you run longer and faster. The shoes even have the better toe-spring and sock liner design, which gives you the improved bounce as you take off while giving enough support as you strike your foot. Even after a few runs, my feet have never felt better and there’s no need to ice it as much! When looking for something you can use for either speed or long distance running, the ASICs Gel Kayano can do it all. I’m in love with its versatility, as I can use it in various situations such as walking, running, and even other strenuous activities. Not only does it stay strong and free from easy wearing, but my feet still stay stable and supported. You can see and feel how light the shoes are, and it’s still incorporated with the various technologies that soften impact and keep your feet running smoothly and pain-free. While the Hoka One One may seem like such a pricey shoe, you definitely get more than what you pay for! I’m surprised with its tall heel, but it’s what provides the excellent cushioning which feels very plush and supportive. Even with the extra cushioning, it’s still lightweight, offering a secure fit and better run without feeling heavy. I also really appreciate the breathability and comfort it provides. Though it may not be the most pain-relieving, it does the job and you can see that it will last for a very long time, which is a must for its price! When you first see the ASICS Gel-Noosa Tri, the first thing you’ll notice is its attention-grabbing design. It comes with such pattern and colors that make it something you’ll want to wear even outside the tracks! But what makes it the best for me is its support and breathability. The shoe feels very breathable and keeps my feet cool and free from pain. Even as I run, I’m able to continue long distances without much of the pain and discomfort. And did I mention that these shoes are glow in the dark, making it perfect for night running? Those with plantar fasciitis really need something that’s both pain-relieving and supportive. That’s where the ASICS Gel Venture comes along, with its superior comfort made for even the toughest trails. It even comes with a removable sock liner to accommodate your medical orthotics, making it extra supportive with all the comfort. 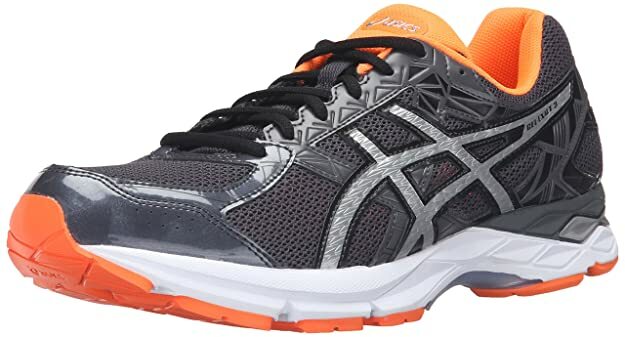 I highly appreciate its original and classic GEL cushioning system, which has absorbed shock well and puts on smoother transitions as I run. I’m free from pain and I’m happy with this, with every run turning even better as I break new records. 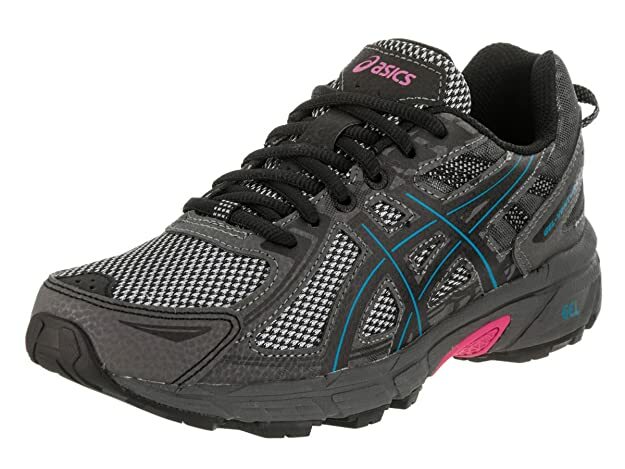 I’m in love with the bright design of the ASICS GEL-Exalt, but what I love more are its breathability and comfort. It offers the breathable mesh with the padded tongue and collar, which accommodates your fit. Furthermore, it’s made for neutral runners or to fix overpronation, thanks to its extra stability. The shoe comes with the Trusstic system, helping reduce the weight while maintaining stable feet as you run. It also has a unique midsole, which helps you bounce back as you continue running. I’ve has zero problems with this shoe and while it’s not the best, it’s pretty good! 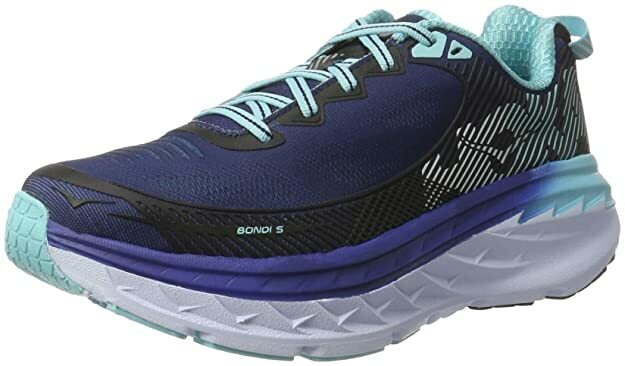 The Hoka One One Bondi have that snug and secure fit which keeps my feet stable. This is thanks to the 3D Puff Print Frame, which gives the combination of lightweight and stabilized fit for any runner. It even comes with the very breathable mesh upper, which keeps my feet cool and dry regardless of where or how I run. The shoes really absorb the shock as I run, though it may feel stiff some days for no reason. It’s a hit and miss with these shoes, though if you don’t feel as much pain and focus more on secure fit and ventilation for your feet, this is best for you. 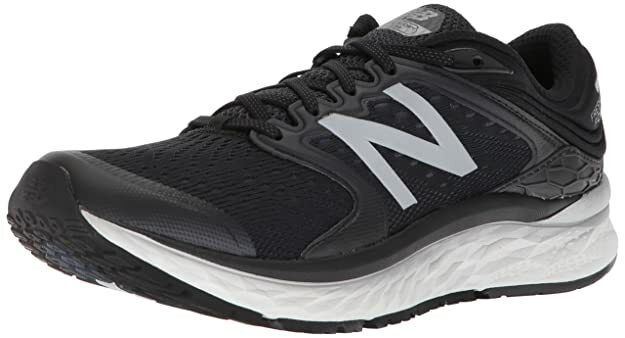 The New Balance WW847 isn’t just a walking shoe, but best made for light jogs and runs for those with plantar fasciitis! It has a high arch and stability, perfect for those who have low arches or overpronation. When I began using it, there was no need to break into the shoe, as I immediately felt its effects. My feet were cooler, I had NO pain whatsoever, and the construction holds up with whatever I do, making it worth more than just a typical walking shoe. Would definitely recommend if you’re not doing very intense runs or marathons! I am in love with the Saucony Kinvara’s sleek and seamless design. It has the gradient colors, which makes it such a bright, eye-catching shoe you’ll love to wear even when out of the treadmill. 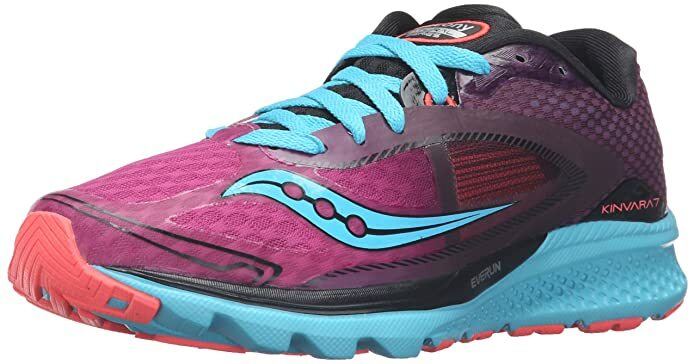 Furthermore, this has the excellent soles, offering midsole cushioning, a removable insole for preferred comfort, and the flexible outsole to keep your feet moving well while keeping stable. The shoes move seamlessly with my feet and my runs only keep getting better after each use. From its design down to its excellent sole quality, I believe it to be worth the price. 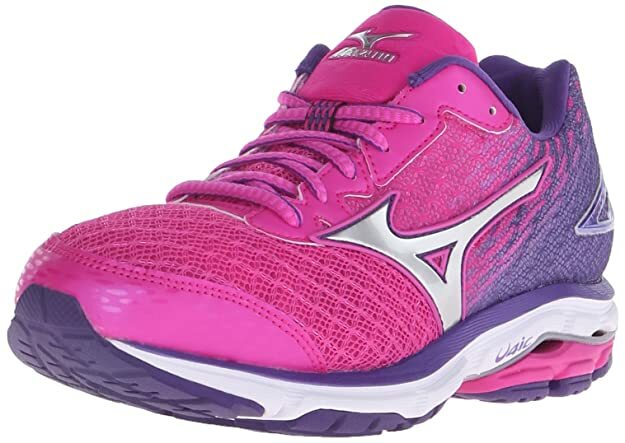 And to cap it all off, we have the Mizuno Wave Rider Running Shoe, which is best known for its strength and resiliency. 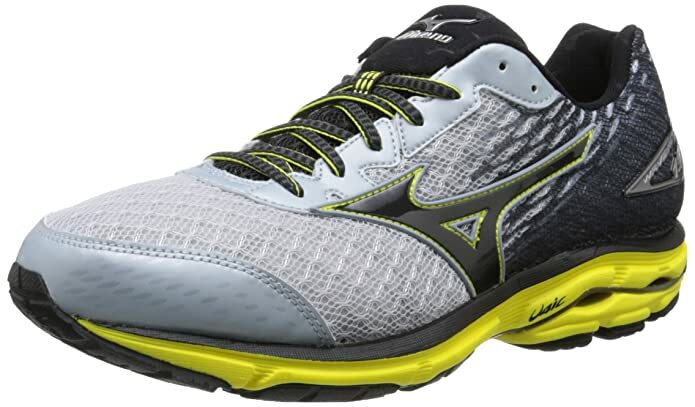 It’s a very simply designed shoe that comes at an affordable price for a Mizuno, and what you pay for is its strength. I love its consistent fit and the fact that it holds up regardless of how long you use it for. While there still is a bit of stinging around the feet as I run, it’s no major complaint. With its better durability, I believe it’s a good price and it still does the job in keeping my feet relatively comfy. The first thing to look into when choosing great running shoes is the supportive arch. This reduces overpronation and the tension on your plantar fascia as you run! Once you see that the shoes offer arch support, look into the next important factors. Your shoes should be at the right size, with adequate cushioning, but just enough that it feels good for your feet. It should protect and comfort your feet, absorbing its impact as you hit the ground when running. Adjustable cushioning may be beneficial for control over your personal comfort. For those who require extra support ago lessen the pain of plantar fasciitis, your doctor may require you to wear orthotics. That’s why it’s important to look for running shoes that have removable sock liners to accommodate such medical orthotics, which reduce the condition’s symptoms! Though your get should stay in place and fit snugly in your shoe, it should bend gradually while offering a bit of resistance. This has you follow a better running position while protecting your feet. With better shoe flexibility, you’re able to run without feeling pain. Make sure that the shoes you have are also made of the quality materials which can last for over 300 miles. That way, you get your money’s worth and have no worry about going having to replace them after a few runs. If ever you feel like there will be heel pain after your run, elevate your legs and ice it for ten minutes or so. Avoid running too soon if it still continues to hurt, make sure you have rest days every other day! Avoid running on hard surfaces or uneven terrain, rather, go easy with your feet and run on soft and even surfaces. When adding distance to your runs, do so slowly rather than put on too much pressure, especially avoiding bounces which cause strains! Can I Heal Plantar Fasciitis? Plantar fasciitis can’t be healed permanently, though there are ways you can lessen the pain, or even diminish it. Some will require medications or therapy, such as physical therapy, night splints, or orthotics you can place in your shoes. As long as you follow your doctor, there’s no need to worry about any intense pain you may experience. What Are Other Ways to Treat Plantar Fasciitis? Besides the right type of shoes, you’re able to treat plantar fasciitis and reduce its pain by maintaining a healthier weight, which minimizes the stress on the plantar fascia. Go for a diet of anti-inflammatory foods as well, and if required, lessen the intensity of your activity and exercise. Is It Possible to Run With Sandals? While we can run with sandals (and there ARE sandals made for running! ), those with plantar fasciitis should NOT use them. This is because it has none of the support you need, which can cause your condition to worsen. Stick with running shoes, and try minimalist shoes if you want more of the barefoot feel. Depending on your shoe brand and strength, the average time to replace it is after running between 300 to 500 miles. This also depends on how you care for it and where you run. You can tell if it needs replacement if you feel a bit of pain or discomfort you haven’t felt before, or if the shoes already wear out with tears and the like. How Can I Care For My Running Shoes? Store your shoes properly, in a cool and dry area. Don’t place it in a bag or near pets and children who can destroy it! If you’re planning to take up running or activities that require intense walks and runs, then you need the best shoes for it. Not only will these keep your feet comfortable and well-supported, but it also encourages support that your feet need in order to keep it free from pain or injuries. Plus, great shoes add a better style and improved runs to last for years to come! 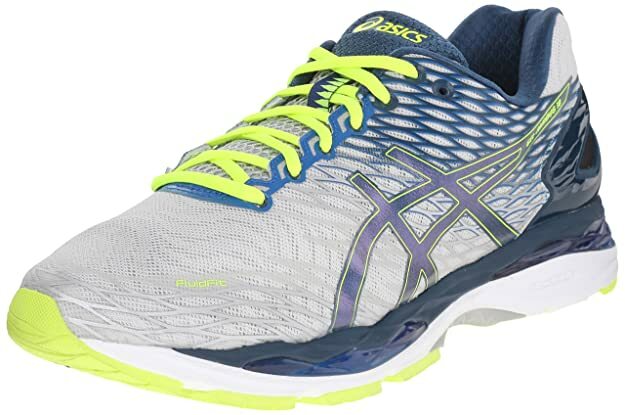 Of all the different types of shoes tried and tested, the best one for men goes out to the ASICS Gel-Nimbus Running Shoe. What makes it the best is its fantastic combination of style and advanced features which help keep your shoes well-supported without the discomfort. The seamless construction also keeps your feet free from irritation and looks great as you run! 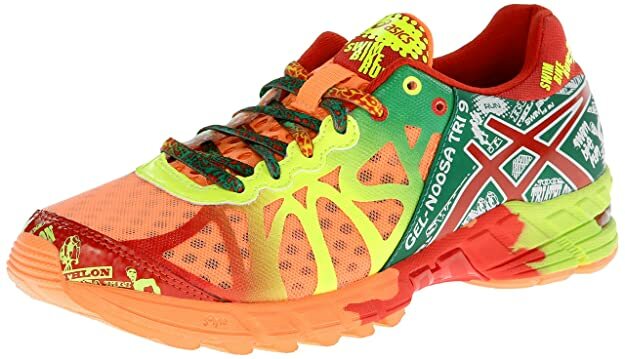 As for the women, so many will love the ASICS Gel-Noose Tri, which has a unique and beautiful design that will have people look! Your feet will also enjoy the shoes, which has the breathability from its quality mesh upper and the support system your feet has to prevent pain and injuries. All in all, definitely worth the price for both shoe models and you can enjoy any of them for years to come. Hopefully, this article on the best running shoes for plantar fasciitis helped you find the right ones! So don’t wait any longer and look into any of these shoes now. If you have any questions or want to share your tips and experiences on the best running shoes for plantar fasciitis, then comment below. Your thoughts are much appreciated!